A person who has been diagnosed with diabetes do not really have to worry about the possibility of complications that can result from high levels of sugar in the blood. Originally, all well under control, of course, the quality of life is good. This was conveyed by Budiman, a specialist in internal medicine department of the Endocrinology Department of Medicine Faculty of Medicine of the University of Indonesia Cipto Mangunkusumo Hospital (Faculty of Medicine / RSCM) in a public discussion titled Healthy eyes to prevent blindness due to diabetes in stores Tempo, Wednesday (10/19/2011). According to Budiman, there are some specific laden with diabetes, so patients do not experience complications such as heart disease, hypertension, stroke, kidney and diabetic retinopathy. First, patients should always check the blood pressure did not the upper limit of normal. Pressure less than 120/80 mmHg is defined as normal. Hypertension usually occurs in blood pressure 140/90 mmHg or more. According to Budiman, people with diabetes who suffer from high blood pressure, tensinya should always be kept no more than 130/80 mmHg. Second, always try to sugar control. Maintain normal blood sugar levels in the body, should be used to set calories by limiting consumption of sugary foods and carbohydrate intake. In normal people, the sugar content ranges from 60-120 mg / dl. 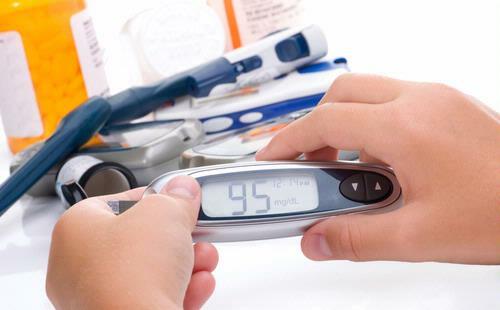 “Fasting blood sugar should not exceed 100 mg / dl. Expires do not eat the blood sugar above 140 mg / dL,” he said. The third requirement is to make sure cholesterol. High levels of cholesterol in the body to the onset of various diseases. Healthy eating is an important factor to avoid this. The normal range of cholesterol in the body is 160-200 mg / dl. Not all cholesterol is bad for the body. Only the category of LDL-cholesterol are bad. Budiman said the LDL cholesterol may not be later than 100 mg / dl. The lower levels of LDL, the lower your risk of heart attack and stroke. The fourth requirement is to maintain ideal body weight. Budiman said that, ideally, a woman, more abdominal circumference of 80 cm, while males more than 90 cm. If everything can be arranged, then complication can be prevented. “A healthy lifestyle is what we can eat. We are reminded to eat to live, not live to eat,” he said.